I love it!…the Masters and the button. CBS does this with their NCAA Tourney coverage too. Gotta love it. 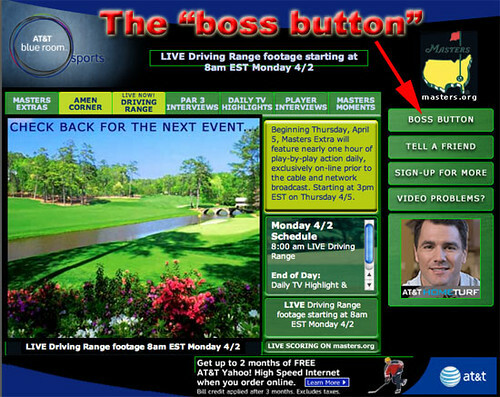 While I prefer to play at Augusta National rather than watch others do so on TV, I think the idea is very creative. It would be the same kind of thing my students would come up with if given enough time to use their right brains amongst all of the standardized tests going on.